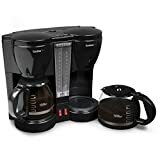 The convenience of using this coffee maker along with the quality of the coffee it brews makes it an excellent coffee maker. If you're out looking for a coffee maker, you should definitely give CucinaPro Double Coffee Brewer Station some attention. The CucinaPro Double Coffee Brewer Station is the perfect coffee machine for the office – and for coffee parties! The ubiquity of caffeine is anything but surprising. There is a reason why we love coffee so much. If love is such a strong word in this context, it is still undeniable that we drink a lot of the stuff. Also, to be honest, it needs no explanation why coffee holds such a prominent place in our lives. 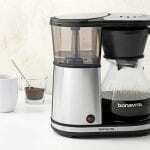 Since coffee is an integral part of our lives, it is not surprising to see coffee makers in just about every home. 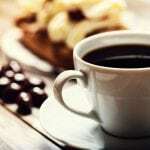 If you like coffee with your breakfast, chances are you have a coffee maker in your home as well. 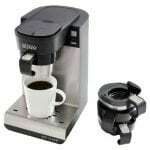 Even if you prefer the gourmet brews, you would still want a coffee maker in your own kitchen. Did it ever occur to you how a coffee maker actually works? 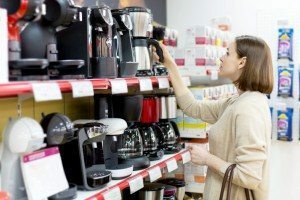 How do you go about buying the perfect appliance without understanding what makes one better than the other? 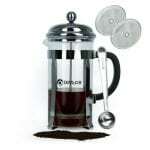 When we are talking about coffee makers, we are mostly talking about drip coffee makers. These are remarkably simple machines. Drip coffee makers in its current form have been around for over three decades. The simple reason they haven’t changed is that they make a brilliant cup o’ Joe and gets the job done quite efficiently. What it does is, it slowly allows water to run through the coffee ground placed inside the filter. The hot water extracts flavor from the ground, which gradually drips into the carafe. 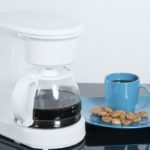 Now that we understand how drip coffee makers work, let us take a look at the CucinaPro Double Coffee Brewer Station and try to go over its features, pros, and cons. Maybe even make a simple comparison to get some perspectives on what’s good and what’s not. CucinaPro Double Coffee Brewer Station, as the name suggests, is a double coffee maker. Meaning, it can simultaneously brew up to two pots of coffee at the same time! This particular feature in itself makes the coffee maker stand out. It is ideal for large families, offices, restaurants and coffee shops which require large batches of coffee at a time. This dual coffee brewer comes with two built-in permanent filters and coffee scoops. The filters have been designed perfectly to allow a fluid flow of water through the ground coffee. This allows the coffee maker to brew surprisingly aromatic and rich coffee. The filter used in the coffee maker is over sized to hold a lot coffee. The coffee maker offers a spring-out coffee filter basket, which means with a press of a button, you can expect the filter basket to pop out. It can just as easily be reinserted back in its place. This makes refilling the coffee filter with fresh coffee ground easier and it also simplifies the cleaning process. In fact, up to some extent, the only maintenance the coffee maker requires is rinsing it with water. The coffee pots have water windows with clearly marked levels for simplicity and ease. That allows us to determine, at a glance, how much coffee we’ve got left in the pot. Unlike many coffee makers that come with opaque pots, CucinaPro sticks with simplicity and style. Hence, it does not only focus on functionality but also on aesthetics. Lastly, CucinaPro Double Coffee Maker provides you with the option to control the heating elements individually. 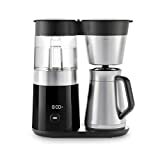 The ability to control the heating mechanism of a coffee maker is important because it allows us to brew two pots of coffee simultaneously without the two pots being dependent on each other. 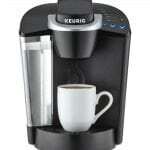 It can brew up to 24 cups of coffee at one time. CucinaPro Double Coffee Brewer Station is an ideal choice for those who need to make large batches of coffee. 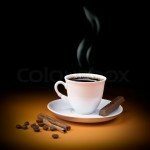 It can be used by large families and in community centers or workplaces where a huge number of people need their mid-day coffee fix all at the same time. Aside from the amount of coffee the dual coffee maker can make, it also has a lot of great features. 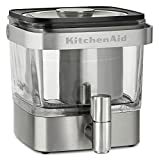 For one, the coffee maker comes with two permanent filters that are thin enough to provide clear coffee but wide enough to let coffee seep through the filters. Thus, it will produce an aromatically rich cup of coffee that is simply a delight. Also, the two brewers work independently which means that you don’t have to wait until one batch is complete. 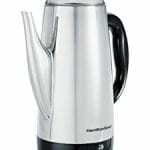 Let’s take a look at Kitchen Selective Dual Carafe Coffee Maker, another large coffee maker with dual carafes, which can serve as an excellent benchmark for comparison. Kitchen Selective also offers the ability to brew two pots of coffee at the same time. Also, both sides of the coffee maker work independently. 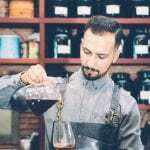 One aspect that Kitchen Selective has over CucinaPro is the ability of the user to pause the coffee machine midway in order to take out a cup or two before resuming the brewing cycle. However, aesthetically, the coffee maker is nowhere near CucinaPro’s design. It also doesn’t have a spring-out coffee filter mechanism, which is quite important for cleaning and maintenance. With no doubt at all, it is a bit difficult to differentiate between the two coffee makers. Both offer quite similar features, and both of them are ideal for large families and even workplaces like restaurants and coffee shops too. However, if you are like the most of us, you probably don’t enjoy cleaning that much. It’s a fact of life, but we do our best to minimize cleaning and maintenance work. 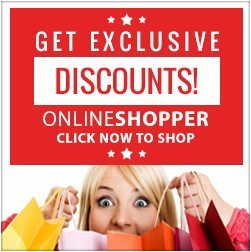 In this regard, the CucinaPro Double Coffee Maker stands out. It can definitely make your life easier since cleaning is more straightforward than others.